← Which Hat am I Wearing? The breeze was great. Kids were playing with dogs, folk were digging in the sand and looking for sharks teeth along the water’s edge. I had my beach chair and a book. Pretty cool — except for the guys playing really loud music from their car radio. Music that was so much NOT what I wanted to hear. The parents of those cute kids with the wild little Benji dog didn’t seem to want to hear it either. There are names I do not want to be called and I don’t care who’s doing the calling. And there are words I’d just as soon my children, or anybody elses’ for that matter, not identify themselves with. (The only female dog in our household had 4 legs and fur.) Okay — I’m starting to rant. I’ll stop now. So I came home. Opened my windows and enjoyed the breeze. I’ve got a scented candle burning and an unread magazine to flip through. (It’s a couple of months old, but I get to them when I can!) I’ll go back tomorrow morning. The beach is way quieter before 8:00 a.m. Speaking of music and ranting, a friend sent this GREAT video clip. I LOVE this. Oh my gosh! I am soooooo happy to have found your blog. As so many probably have told you over the years – you, Ron, and your Gullah Gullah kids (tv ones and real), are a part of our family. We are a “Rainbow Family” – with 5 beautiful adopted-angels. When our three sons were babies – we discovered Gullah Gullah Island and fell in love with all of you (about 2001-2002). We added 2 daughters and after searching, waiting, etc., we were overjoyed that Gullah Gullah Island is back on the air. Due to the ridiculous time that it airs – we DVR it every day. It is one of the shows that 1 or more will snuggle with me and watch – no matter how many times we’ve seen a particular episode. As a result – I find myself thinking of you and Ron, Sara and Simeon – wondering what your lives are like today – and as silly as it sounds – feeling such a connection with you and Ron – although the shows are now “old”. My husband and I share a blessed marriage, he’s an elem PE coach, & I’m an artist, involved with children’s music, many hatted-mom (love that analogy!) as yourself – so that connection still feels real even now. 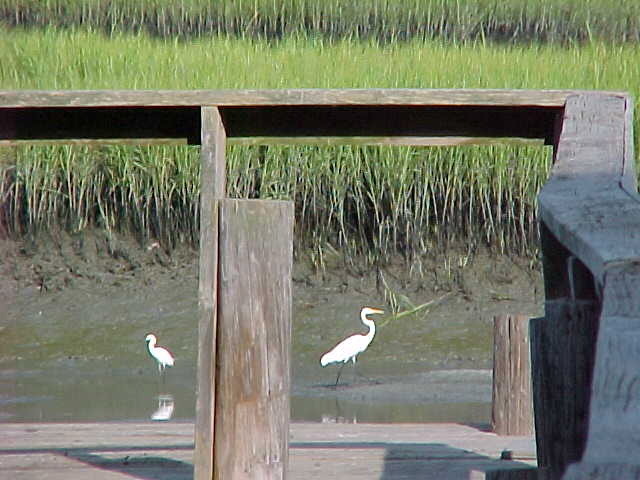 You said you’re on the coast – are you in SC? We live in St. Augustine – so appreciate a lot of the same “flavor of life” that you often shared on the show. I’m recovering from surgery – so my babbling has got to stop – but please know, this family of 7 (kids are Matthew – 9, Gabriel – 7, Jackson – 7, Marya – 7 and Sarah – 5) love that you are such a part of our days, with stories and lessons that we learn/share – and my kids want to meet you so badly – is nice to always tell them that you really are “real”. Have a blessed rest of the week – and breathe! I’m so slow! (More on that in the next blog!) Thanks for your responses and sharing your family with me! Hope the recovery is coming along and that you feel more yourself. Though with 5 children, recovery time is more of a joke than not! An Anti-campaign — a great idea, but as you say, it sounds like an “inside” job. Members of the music industry taking personal responsibility for the message and impact of their songs. In the meantime, those of us who are concerned can press the “off” button when possible and speak up or move when it isn’t. Anybody else have a solution? Nan, I know! I just laughed out loud in amazement and agreement!